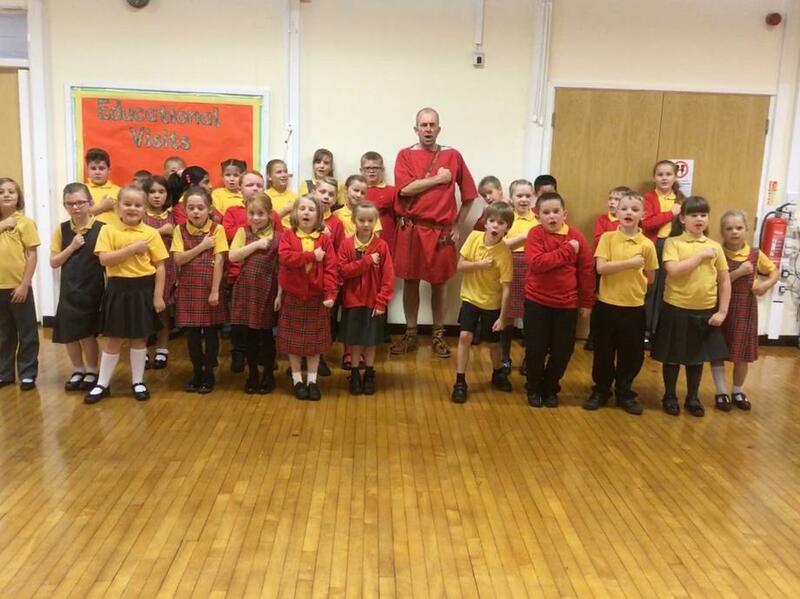 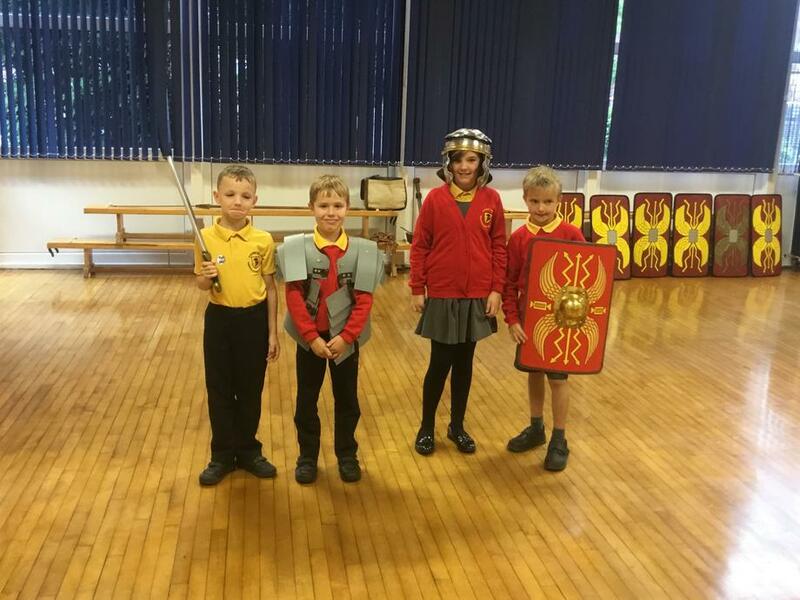 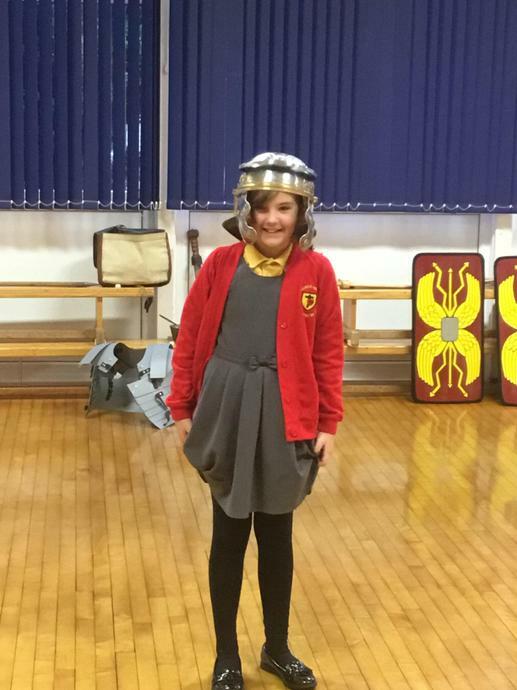 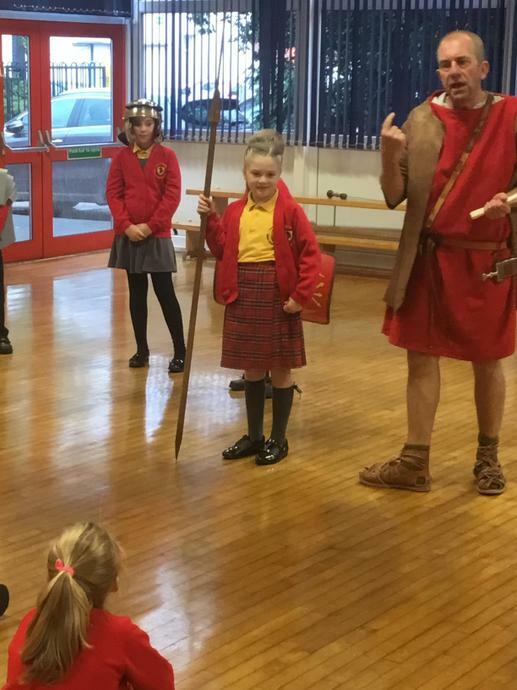 Year 4 enjoyed Marcus the Roman coming to visit them from his encampment in Deva (Chester). 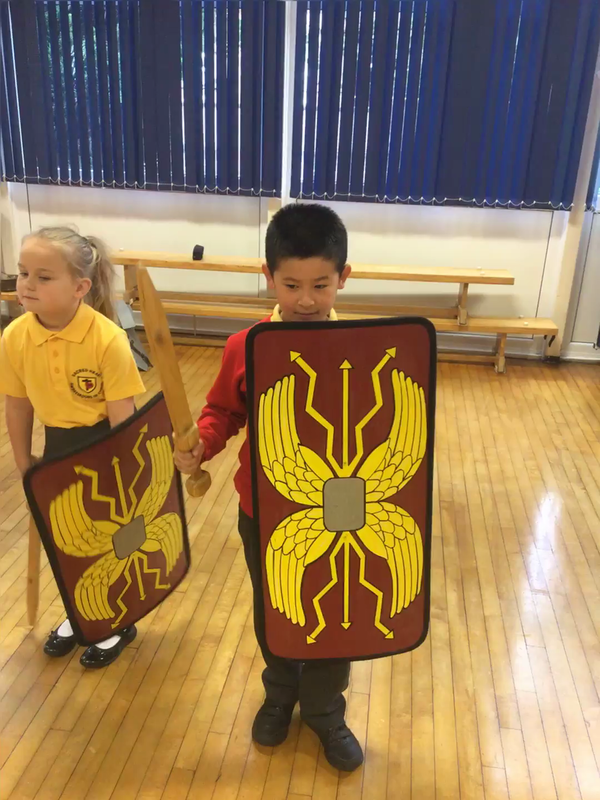 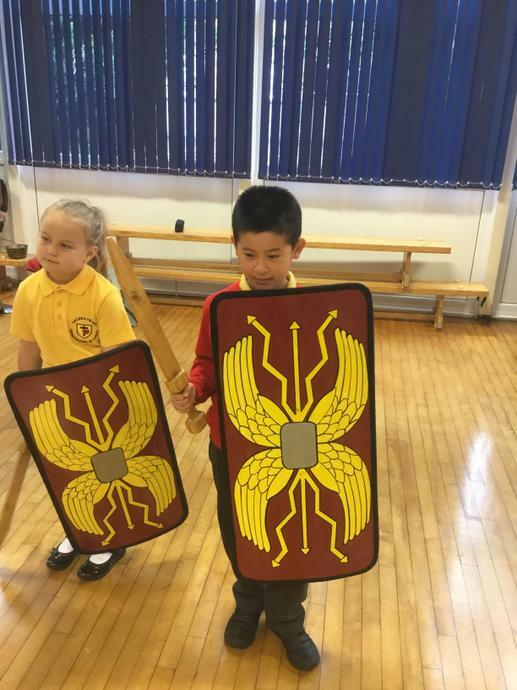 He showed the children what it was like to be a Roman and then taught them how to march in to battle, just like the Roman army did! 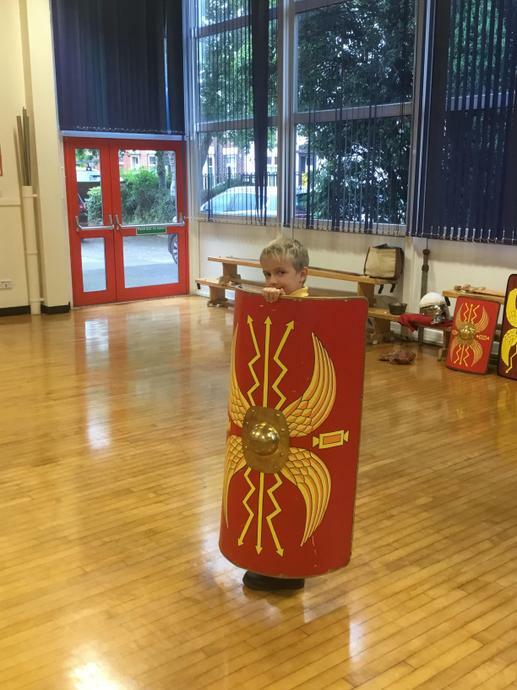 Marcus was so impressed with the childrens 'readiness for combat' he said he would ask his Legate whether the class would be allowed to enter his legion even though they were all too small and some of them are girls!